With Fast video indexer it is easy to batch capture video frames from movies. Add video files you want to capture by dragging files from Windows Explorer or use Fast video indexers build-in filebrowser. You can add video one by one or add all videos from a folder hierarchy. When you have added your movie files to the program start batch video frame capture. Each movie file will then be processed in turn. For each movie file Fast video indexer will extract still frames and save them in jpeg or bmp format, a HTML web page with the video frames will be generated and a collection image with all captured frames will be generated. When the Batch video frame capture has completed you can view the result and any eventual errors. If you are missing video codecs Fast video indexer will try to recommend codecs you need to install. Fast video indexer can save projects giving you a quick summary of all captured videos, you can use projects to manage different collections and add videos to the project as your video collection grows. 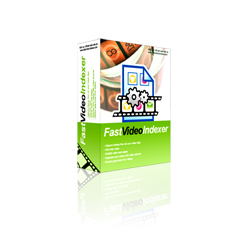 Fast video indexers batch video frame captureb feature saves time and makes it quick and easy to capture multiple video frames automatically from a large number of videos. Download the fully functional free trial version now. and try batch video frame capture yourself today.